Creation of this applet was inspired by a tweet from Antonio Gutierrez (GoGeometry). 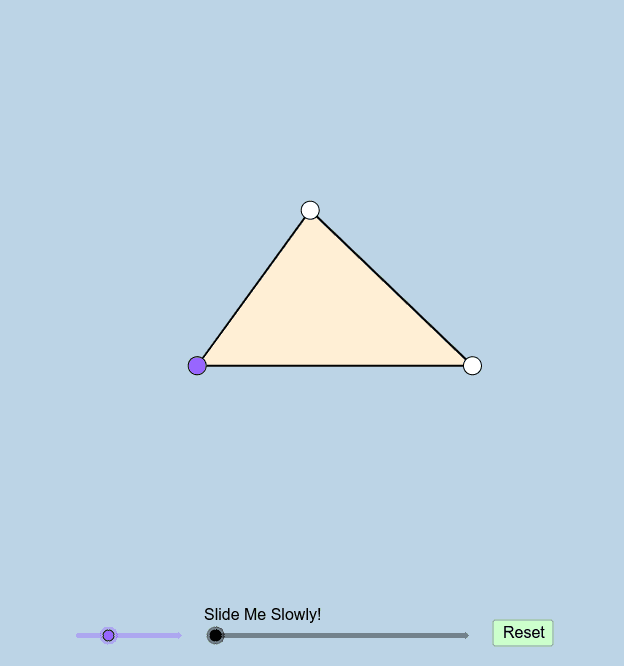 You can use the purple slider to control the size of the interior angle with purple vertex. Feel free to move the vertices of the triangle anywhere you'd like at any time. How can we formally prove the phenomena witnessed at the end of this action?